Mary van Balgooy at the headquarters of the Society of Woman Geographers. 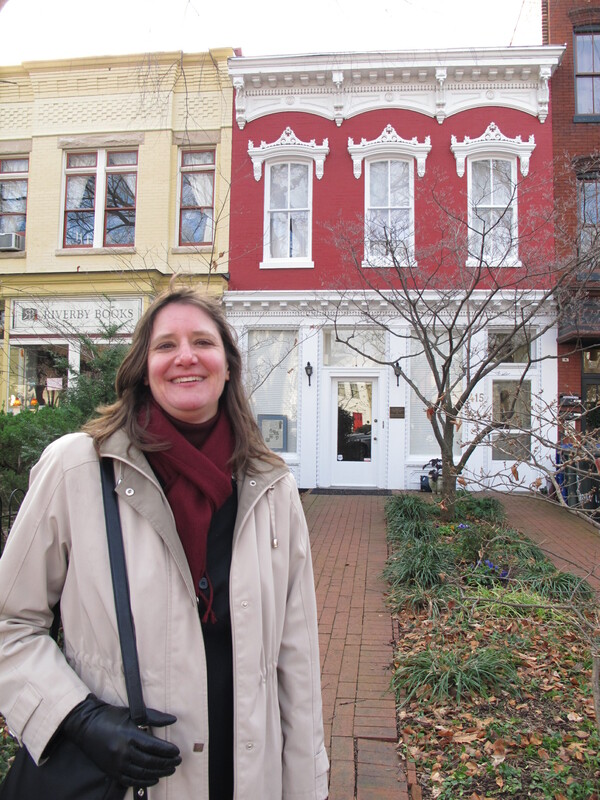 Today Mary van Balgooy, vice president of Engaging Places, LLC, becomes the first executive director of the Society of Woman Geographers (SWG), an international membership association based in Washington, DC. SWG was founded in 1925 in New York by four women who were recognized explorers but ineligible for membership in similar male-only organizations. Over the decades, its members have included aviatrix Amelia Earhart, anthropologist Margaret Mead, author Pearl Buck, archaeologist Mary Douglas Leakey, and primatologist Jane Goodall. It has grown from a single group of women in New York to six nationally, adding Washington D.C. (the current headquarters located in a restored 19th-century townhouse on Capitol Hill), Chicago, San Francisco, southern California, and Florida. Today, the SWG continues to support and promote geographical exploration and research through fellowships to support graduate studies, a library and archives to preserve the achievements of its members, regional group meetings to present new findings and travel adventures, and a triennial conference where the Society recognizes members for their outstanding work in the field of geography and its allied fields. Mary was most recently the executive director of Peerless Rockville, a historic preservation organization for one of the largest cities in Maryland. During the past five years, she led the rebranding of the organization, refreshed the logo and website, increased attention on the history of women and twentieth-century neighborhoods, achieved local historic designation for several sites, organized the collections to make it accessible to the public, and most importantly, ensured the organization continued to grow and succeed despite the economic recession of 2008. Although Mary will be working fulltime for SWG, she will still be available on a limited basis to consult and advise on projects for Engaging Places, particularly those related to women’s history or collections management. This entry was posted in Leaders in the field and tagged Mary van Balgooy, Society of Woman Geographers on January 13, 2014 by Max van Balgooy. Congratulations, Mary! What a great opportunity to promote women in the sciences. Wonderful news! Congratulations Mary! We look forward to hearing more about your work at the SWG.